An assault victim has hand drawn pictures of the attackers who kicked him to the floor and squirted an unknown substance in his face. Detectives are appealing for information after a man who collapsed with head injuries dies in Leytonstone. A sight from a galaxy far far away was brought slightly close to home after Darth Vader and his stormtroopers invaded east London. Police are appealing for help to find a 23-year-old woman from east London who has been missing for almost a week. Robia Wellington was last seen at her home in Leytonstone on Sunday. She is described as 5ft 5ins tall and of slim build. She also has links to the Dover area. Anyone who has seen Robia, or knows where she is, is asked to contact police on 020 3276 0971 quoting reference 15MIS049650. 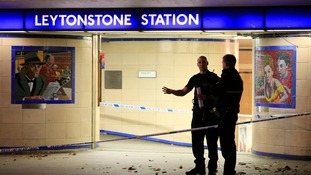 Counter terrorism police have searched an east London property whilst investigating stabbings at a London tube station. 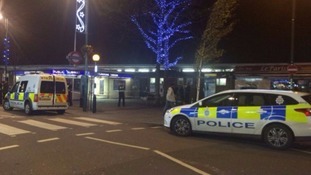 Leyton and Wanstead MP John Cryer said the stabbing of three people at Leytonstone tube station was an "appalling attack" but urged local people to continue as normal. "It is very frightening for local people. I have been talking to some of the local businesses and obviously they are all very worried about it," he told BBC1's Sunday Politics. "I think the message is that we carry on as normal, we don't allow this sort of barbaric behaviour to change our lives." The Labour MP voted against air strikes on Syria, but has warned against linking the stabbing with the decision to start bombing. Mr Cryer said: "I think it would be dangerous to say this is a direct consequence of air strikes on Syria, however I feel about the air strikes on Syria." 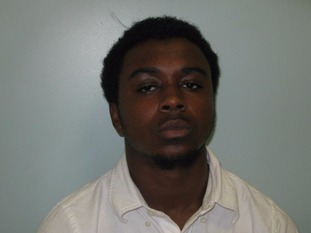 Two members of a group who lured two young men to their deaths in Leytonstone last year were jailed for life today. 18 year old Casey Jones and 21 year old Alex Bernard were both given life imprisonment, serving a minimum of 34 and 31 respectively. Two other members of the group will be sentenced in June. All four were found guilty of the murders of 21-year-old Aaron Carriere and 20 year old Josiah Manful. The court heard how in the early hours of 1 March 2014 Aaron and Josiah were ambushed and boxed in as they drove along Montague Road, E11. Four vehicles with seven passengers travelled in convoy along the Harrow Road. They passed the car containing Josiah and Aaron driving in the opposite direction with Aaron in the passenger seat and were then boxed in by the cars. The occupants of the vehicles got out and surrounded the car containing Aaron and Josiah and began a frenzied and brutal attack. Following the attack, Josiah was able to get out of the vehicle and staggered a short distance before collapsing. He was pronounced dead at the scene. Two men have been arrested after a black cab was stolen with the driver's dog inside. The taxi driver briefly left her vehicle running but when she returned to the cab her Pomeranian-Staffy cross was gone. Thankfully, police in Leytonstone found 12-year-old Harry and the stolen car a couple of hours later. Police arrested two men, aged 31 and 40, on suspicion of theft on Monday evening. We get many leads on many crimes but this is the best collar we have had. "This is a great example of police work and we are pleased that Harry has been reunited with her owner. The skinniest home in Britain looks set to be torn down after the owner lost a legal fight with a London council. The narrow property is barely two metres wide, and was built between two houses in Leyton, where a garage used to stand. According to the Evening Standard, the owner of the home on Manor Road, Mohammed Akhlaq, now has three months to revert the building back to its previous use. One neighbour said: "For a long time it was a horrible shed, not even a garage. They seem to have put this bizarre front on it, but what was there before was really, really horrible. I don’t have anything against it."